If you haven’t already enlisted the services of a Virtual Private Network (VPN), you’re fast becoming part of the minority. VPNs are becoming a go-to method of securing online anonymity while protecting your personal information from hackers. If you haven’t already, now’s the time to pull the trigger with a reliable VPN provider like OneVPN. Right now, you can lock in the advantages of OneVPN’s global network for life for just $49.99 (an 89 percent savings off the regular price) from TNW Deals. OneVPN cloaks all your web browsing and online actions with its rock solid, AES-256 encrypted server network, which spans 60 server locations in 21 countries worldwide. 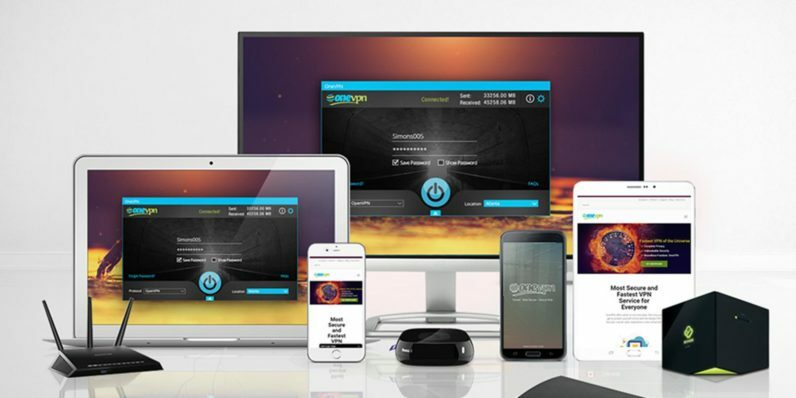 Whether you’re surfing the web or downloading content by smartphone, tablet, laptop or desktop, you’ll rest easy knowing your web footprint is safe and anonymous thanks to OneVPN’s anti-malware and NAT firewall protections. OneVPN also helps you escape regional geo-blocking restrictions on content from streaming platforms like Netflix or Hulu. Meanwhile, all your browsing will be ad-free thanks to the benefits of OneVPN’s Adblocker technology. Normally a nearly $500 value, a lifetime subscription to OneVPN is just $49 right now.